Nintendo has released a brand new clip showing off some of the extra content gamers can nab in Pikmin 3. The trailer above shows off a bunch of the new Mission Stages that are a part of this fresh round of DLC. It also shows off a brief glimpse of the free stage that we’ll get when we update our game. 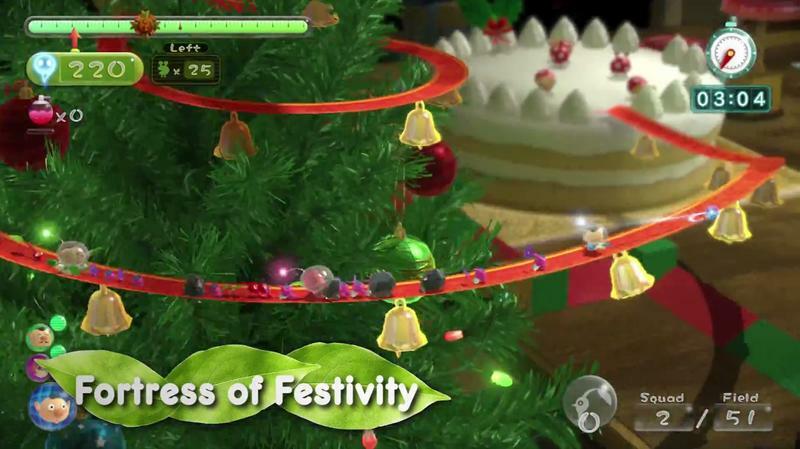 It’s called the Fortress of Festivity, and it features Christmas Trees, cakes, wrapped presents and…pizza? I’m a total sucker for these themed DLC packs, especially if they’re seasonally appropriate. This stage is free, so of course I’ll check it out. If you’re curious about how all of the currently available DLC breaks down in terms of pricing, Nintendo showed that in the video above. Here’s a screenshot for the YouTube impaired among us. $9 and you’ll have it all, friends. 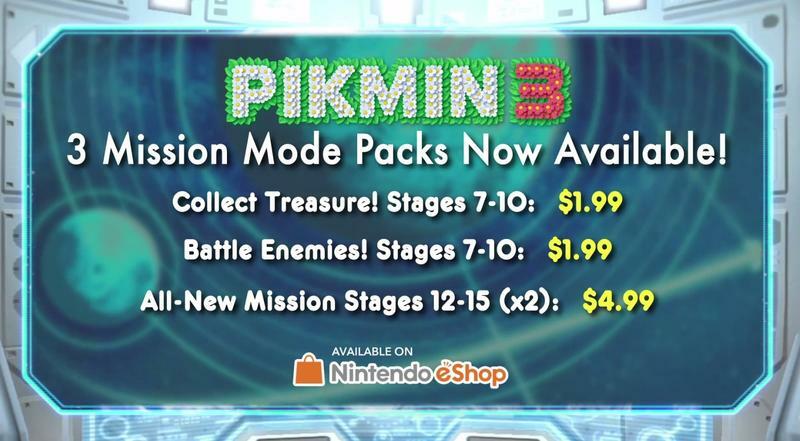 There have been some free additions as well, so be sure to update your copy of Pikmin 3 for those. Will you nab any of this DLC? It’s available right now.